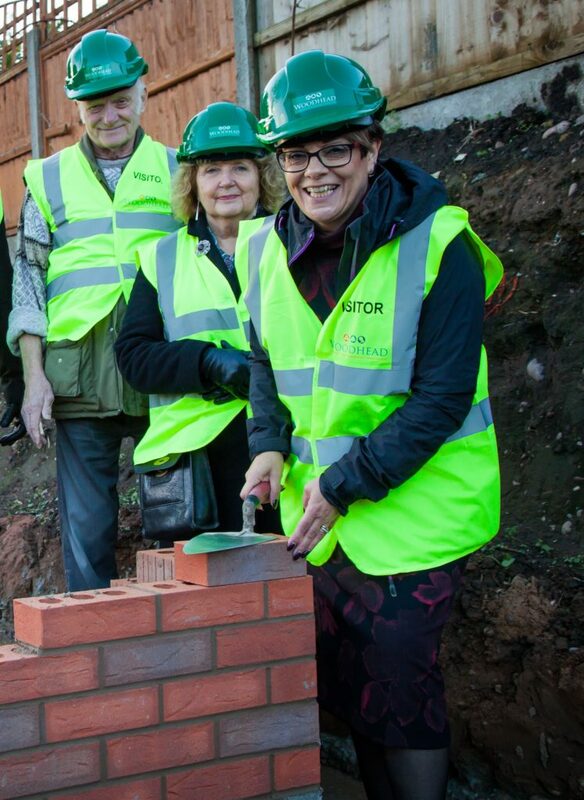 Work has begun on a much needed affordable housing scheme in Edwinstowe, following a ceremonial brick laying event on site in November. Earlier this year, Newark and Sherwood Homes purchased the land in Edwinstowe for the construction of affordable properties, also marking the first new build development delivered by the housing provider. Newark and Sherwood Homes’ chair Lynn Clayton, said: “We are delighted to have marked this exciting milestone for this project during the brick laying ceremony, where we were joined by our board members and the team at Woodhead. Craig Pygall, construction director at Woodhead, said: “We’re delighted to again be working with Newark and Sherwood Homes to deliver affordable homes where they are most needed. The four properties being developed will be available on an affordable rent basis and let to local people in spring 2016.